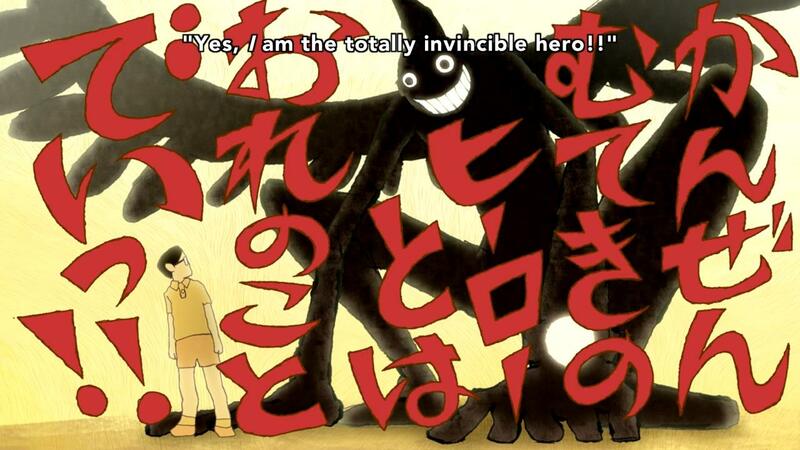 Peco is the individualistic, charismatic, and ambitious hero. He is the classic hero, an Odysseus of ping pong, and despite his incredible arrogance, we’re enamored with his charming personality and are constantly rooting for him to win. 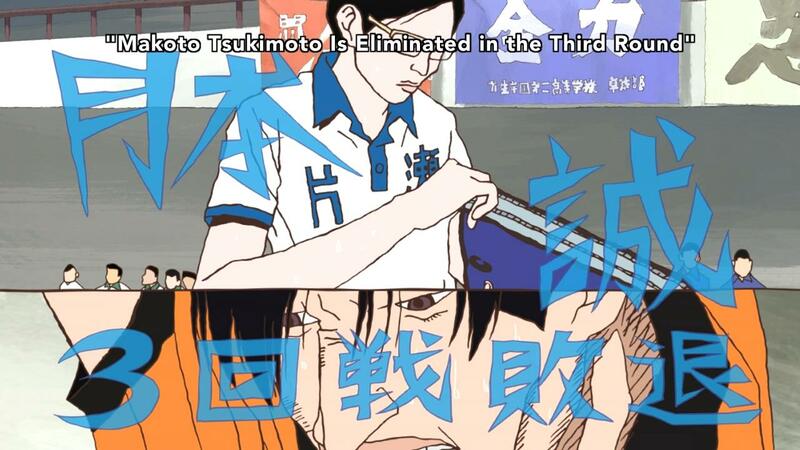 When we see Peco destroy somebody, we’re thrilled, because we sympathize completely with Peco’s goal of becoming the world’s best ping pong player. He seems to win his matches almost effortlessly, and it seems nothing but just that the universe should endow him with the ping pong crown that he rightfully deserves. However, we come to a horrible realization by the end of episode 1. 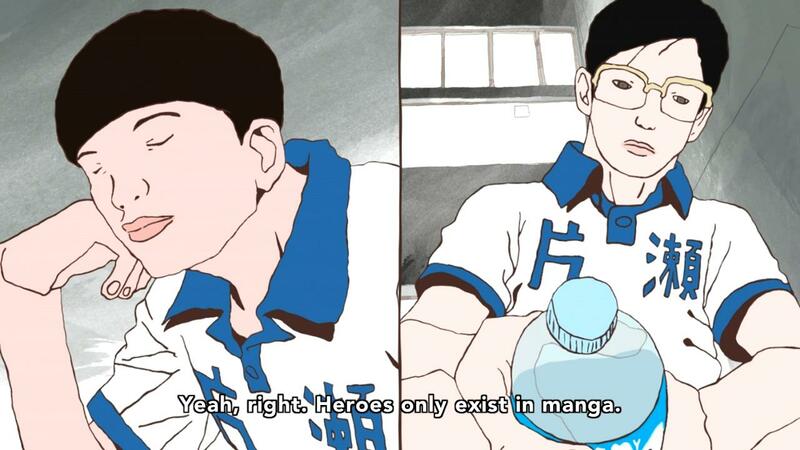 Peco’s arrogance had left him short-sighted. In his entire career he had only ever been a big fish in a small pond, and it is only when an even bigger fish is introduced artificially with Wen’ge’s appearance in Japan that Peco realizes just how weak he really is. It is here that we learn that the concept of an always-winning charismatic hero is fundamentally naive; in a world as harsh and cruel as ours, it simply doesn’t exist. 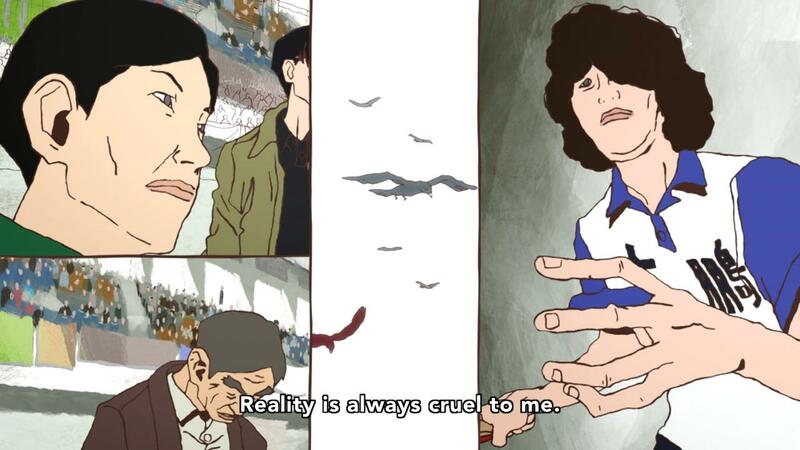 The cruelty of the world, as shown by Mr. Afro. Smile’s story, in episode 2, only seems to confirm this notion. Pressured continuously by his coach to the point of breaking, Smile retreats to his safe place, a quiet locker in the corner of an elementary school classroom, and he awaits the arrival of a hero to rescue him, because it would be so wonderful for him to be absolved of all responsibility and carried away to safety. But Smile realizes in the depths of the lockers that no hero will rescue him. The classical hero is a myth. A robotic arm extends itself towards Smile, and it is then that he realizes that he must become a hero — but not the arrogant, naive, and overly-human hero represented by both Peco and classical archetypes. Humans make mistakes, and both selfishness and arrogance lead to short-sighted behavior. Smile realizes that the true heroes are those who can exceed beyond human limitations; in other words, they are robots in human skin. It is only when Smile taps into his super-human nature that he defeats his coach, and in so doing, Smile demonstrates to us once and for all who the real heroes are. The third episode ties all of these themes together, and we see Wen’ge and Smile engaging in face-to-face combat for the first time. Cold, calculating, and completely calm, Smile quietly analyzes Wen’ge’s movements without being hindered by emotion. He doesn’t even break a sweat while Wen’ge begins faltering. For the first time, we see Wen’ge with a new expression: not an arrogant smile or a condescending frown, but a genuine expression of pain. And Smile realizes this. Smile is not bound by the ambitions of winning. He has no need to prove himself. He has no insecurities behind which to hide. He is a pure and transcendent being who can see beyond the limitations of humankind, and for this reason, he is a true hero. Smile willingly loses the game in order to save Wen’ge’s career, throwing away the admiration of his classmates and the countless opportunities that could have arisen from the defeat of a Chinese ping pong champion. Smile approaches us with a radical definition of heroism, one that is distinctly anti-charismatic and super-human, and as a result, difficult to sympathize with. But he walks a path free of struggle, never burdened by the worries of losing nor bound by ambitions to win. He directly opposes the classic hero that we are used to seeing, because he chooses silence over loudness, modesty over hubris, and walking over climbing. If Peco could be said to represent Odysseus, then Smile is the Buddha. While Peco and Wen’ge suffer from being of the world, Smile thrives because he is beyond the world. Perhaps Smile’s robotic nature may prove to be a weakness in the future, but for now, it is his greatest strengths. Smile’s robot-hood doesn’t make him literally not human; and it certainly doesn’t mean that he lacks human-like qualities. But when you compare his calculating quietness with the passionate, fiery, and arrogant actions of almost every other character on this show, it is clear that something is special about Smile, that he is beyond the petty human squabble that the other characters find themselves so deeply involved in. He is like a robot who understands morality, or a super-human who is still susceptible to some of the irrational quirks of human beings; he has a concept of “annoyance,” and he dislikes it when people cry. When he allows Wen’ge to win, it isn’t because he really cares about Wen’ge. 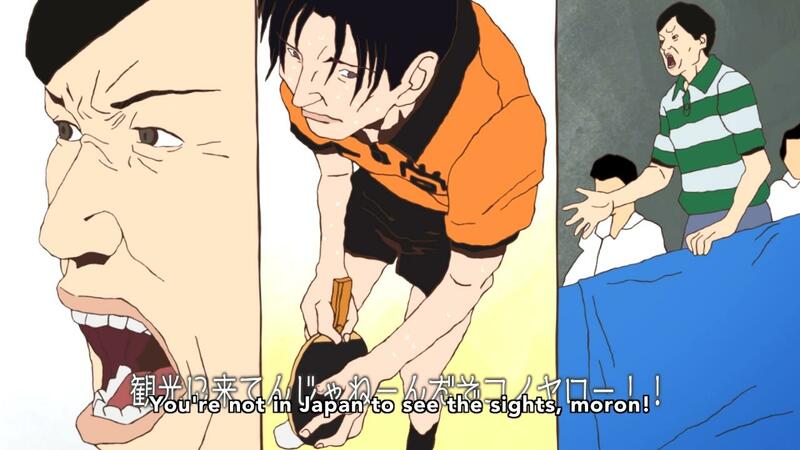 It is only because of a combination of two factors: his lack of concern for the competitive world of ping pong, and his undesire to see a disheartened Wen’ge who might even burst into tears. Edits: Revised some sentences, changed a comparison to Christ with Buddha, since that’s considerably more accurate. Maybe you caught all the big themes of the show. I didn’t easily understand the corelation between the robot hand and the hero meaning; Thank you for discussing them with us in such a clear way, What do you think Peco will do now that he knows Smile was faking all this time, or did Peco know this already? Do you think Smile can actually feel lonely without Peco, or would it go against his character? What do you think that caused Smile to be this way? I love this show themes. Good questions. There is a scene that shows just how surprised Peco was at seeing Smile’s true skills. I think Peco’s pride will be deeply injured, and I bet he will pretend to be joking and happy but secretly envy Smile’s skills. Or he could swallow his pride and learn from him (unlikely), or he gets really upset at how unfair it is for Smile to be effortlessly talented. I think Smile would get lonely without Peco. Although Smile is incapable of having large feelings like ambition or arrogance, he sti has tiny irrational quirks that prevent him from being a pure robot. Was it something I pixellated? Articles of note were – Gone Home (LBGTQIA exploitation was an apt way of putting it), TL;DR, Madoka, In Defense of Jaden Smith, and the Parasyte glare. 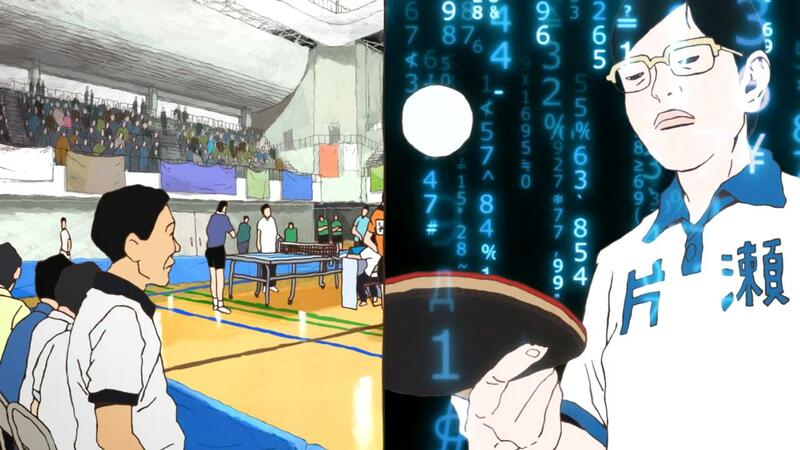 Last but not least, your coverage on Ping Pong the Animation was an experience in and of itself. So much nostalgia and positivity from an unassuming anime. Will definitely rewatch it when real-life settles down. Are you a writer on other platforms by any chance?